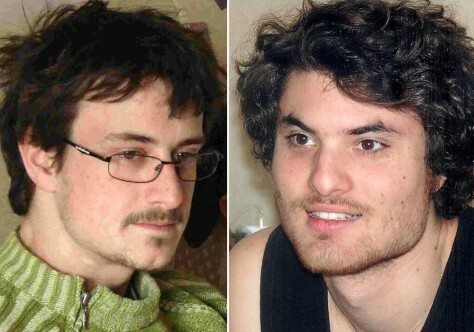 Gabriel Ferez, left, and Laurent Bonomo, the two French students stabbed to death in London. Ferez and Bonomo, both 23, were found on June 29 in their ground-floor apartment. The parents of Ferez had appealed to the killer surrender.